Safety and good environmental practices will always be our Number One priority. We will work hard to deliver an environment free of hazards for the safety of our employees and visitors. By establishing, implementing, enforcing, and evaluating our safety standards in alignment with the highest levels of industry-wide, best practices – MAX is continuously reassessing our safety practices. At both of our facility locations and anywhere MAX performs field service work, our team targets zero incidents and unremitting improvement. 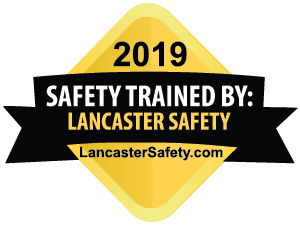 We work tirelessly to assess and update our safety training programs and policies to best reflect current regulatory requirements, timely on-the-job feedback, and the best practices within our safety first work environment.